All times are in GMT +12 :: The time is now 12:23 am. How do I upgrade the Boot Block and Firmware on my FlashScan V2 or AutoCal device? 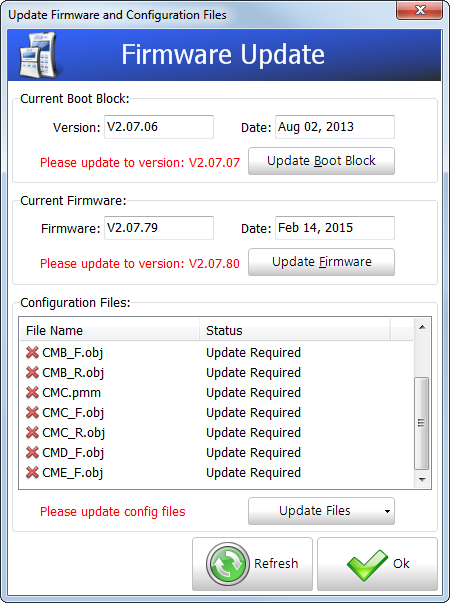 Follow these steps to upgrade the Boot Block and Firmware on your FlashScan V2 or AutoCal device. Ensure you have downloaded and installed the latest version of EFILive's V8 software, available here. 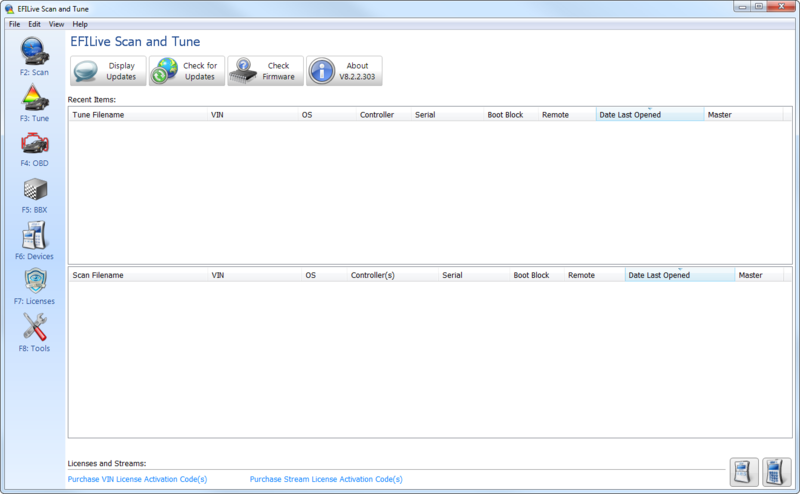 Start the EFILive Scan and Tune application (Start->All Programs->EFILive->V8->EFILive Scan and Tune). Click the [Check Firmware] button at the top of the window. If a boot block update is available then an [Update Boot Block] button will be visible. You should click that button to update the boot block in the connected device. Note: After updating the boot block, the connected device will remain in dead-poll (and unusable) mode until the firmware is also updated. If a firmware update is available then an [Update Firmware] button will be visible. You should click that button to update the firmware in the connected device. Note: If both the [Update Boot Block] and [Update Firmware] buttons are visible, then click the [Update Boot Block] button first unless advised otherwise by EFILive Support. If updated configuration files are available then an [Update Files] button will be visible. You should click that button to update the configuration files in the connected device. If the information displayed in the window appears incomplete or if you have connected the device (or connected a different device) after opening the "Update Firmware and Configuration Files" window, then click the [Refresh] button to reload the information from the connected device. Click the [Ok] button to close the Check Firmware window. More details and direction regarding Boot Block and Firmware updating is included in the Upgrading FlashScan.pdf document located in your C:\Program Files\EFILive\V8\Documents folder (C:\Program Files (x86)EFILive\V8\Documents on 64 bit systems). Specifically this document describes the process if upgrading from the legacy 2.04.X Boot Block and Firmware versions.